Laptops have now become ubiquitous in the classroom, with students employing their computers for everything from note-taking to doodling, watching audio-video content to unwinding in the cafeteria. 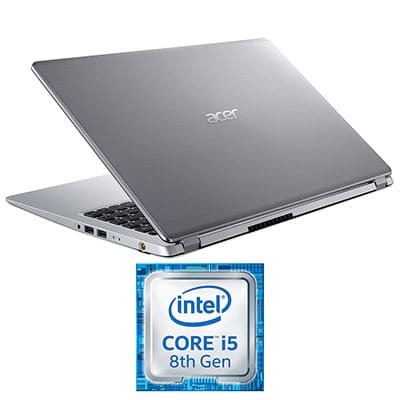 The Acer Aspire 5 A515-52-526C/5109/50G0, priced at an attractive $624.00 onwards, is a 15.6” laptop tailored to cater to the needs of this audience. It is currently available in several models, including A515-52-526C, A515-52-5109, and A515-52-50G0. The new Acer Aspire on the block is fueled by an Intel Core i5 processor and offers up to seven hours of unplugged usage. It seems well-suited to accomplish day to day computing tasks such as editing documents and decks, checking your e-mail, and wireless streaming. But how does this new Acer launch work as a package? Do its display, build, and connectivity do justice to the increasingly demanding lifestyles of students and young professionals? We find out more in this detailed review. This laptop is powered by an Intel Core i5 processor that can be overclocked up to 3.9GHz. Supporting this capable processor are 8GB RAM and 256GB of SSD storage. The operating system is Windows 10 Home. This processing configuration turns out to be apt for both standard computing tasks and some more intensive pursuits like multimedia editing. Notably, the Lithium-Ion battery (3220 mAh, 4-cell) lasts up to seven hours. While this battery backup is lower than you might find in some pricier contemporaries, it should be adequate to last for most of your workday. 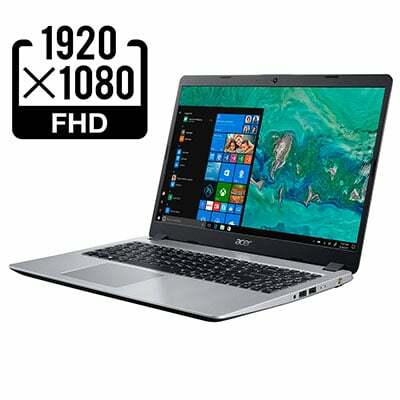 Serving multimedia needs quite satisfactorily is an FHD screen with ComfyView and an optimal resolution of 1920 x 1080. The monitor supports a widescreen view which enhances the realistic appeal of your content. The A515-52-5109 and A515-52-50G0 models are also compatible with In-plane Switching (IPS) that permits glitch-free viewing across angles. Since Acer has adhered to a thin-bezel design (thickness: 0.3”), there is minimal interference to your content. This comes in handy when you want particularly immersive experiences, such as when playing back a favorite film. Note: The graphics support is for Intel UHD Graphics 620 (integrated), so you will have to forego the mesmerism of a dedicated graphics co-processor. It is worth mentioning this laptop’s attention to detail. The Acer Color Intelligence technology brings you accurate colors with adjusted gamma and saturation. This innovative technology also optimizes the screen brightness without taking away anything from your content (read zero clipping). So, irrespective of your content format, the imagery is both meticulous and compelling. Acer also deserves accolades for employing an ingenious technology on the sound frontier: Acer TrueHarmony. Even though this is a compact, budget laptop, the sound output manages to be pleasant thanks to a unique speaker design (two stereo speakers) that boosts both bass and volume. The audio clarity proves to be sharp even when you are on the run between classes. In the design department, Acer has rarely floundered. Here too, you get a premium and contemporary design that should find favor with the populace it hopes to impress. The chassis is built of premium aluminum and boasts of a smooth and tactile finishing. The profile is remarkably thin at only 0.7” which makes it easy to carry this laptop with you in backpacks and rucksacks. On the flip-side, the weight is moderately portable at 5.6lbs. For a 15.6” laptop, however, this is quite a manageable load to lug for the extra real estate. Another design win of this laptop is its highly precise touchpad; it is built to be much more responsive than conventional touchpads and lets you work conveniently in and outside the classroom/office. Also, the keyboard is backlit. So, you can comfortably type away even in low-lighting conditions. Interestingly, this laptop is also infused with extra features for portability—provisions that prove beneficial for seamless operation. For instance, you can use Cortana to issue voice commands and escape the need to type in lengthy instructions when it is inconvenient. Also, this system is “Certified for Skype for Business.” Voice- and video calls turn out to be distortion-free, even when you are connecting with peers or colleagues sitting miles away. 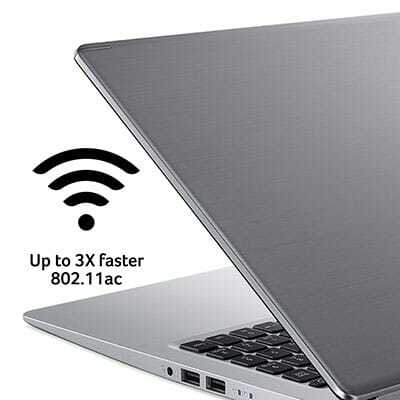 For the audience group that Acer is targeting with this laptop, connectivity is a prime concern. Fortunately, this device offers several provisions to let you plug in to any devices or peripherals you may need, including one USB 3.1 Type C port (data speeds up to 5 Gbps). 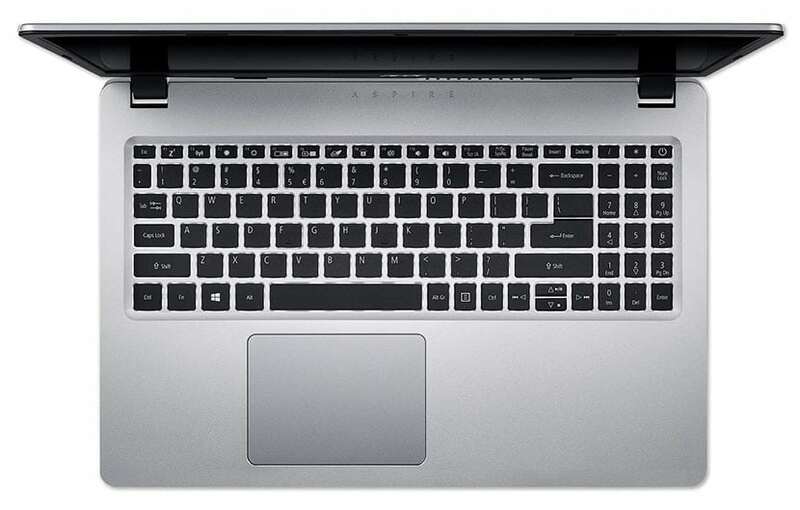 Additionally, it offers one USB 3.0 port, two USB 2.0 ports, and an HD Webcam with High Dynamic Range (1280 x 720). There is also an HDMI port to enable you to connect to external displays, perhaps when you need to make presentations to professors or screen a life-sized film after sundown. For getting on to the internet, you can use 802.11ac Gigabit Wi-Fi (with strategic antenna placement) or 10/100/1000 Gigabit Ethernet LAN. If you have previously used 802.11ac Wi-Fi (2×2), you are in for a surprise; the claims are that you get up to two times faster wireless performance. Indeed, you should be able to note a palpable difference in the speed and consistency of the network. Note that this computer also supports Bluetooth 5.0. Continuing its tradition of launching high-performing but cost-effective laptops for modern users, Acer has bestowed the Acer Aspire 5 A515-52-526C/5109/50G0 with speed, efficiency, and convenience. Its processing strength is ample for most regular activities, and its display proves to be quite charming, especially for that super-tempting price point. 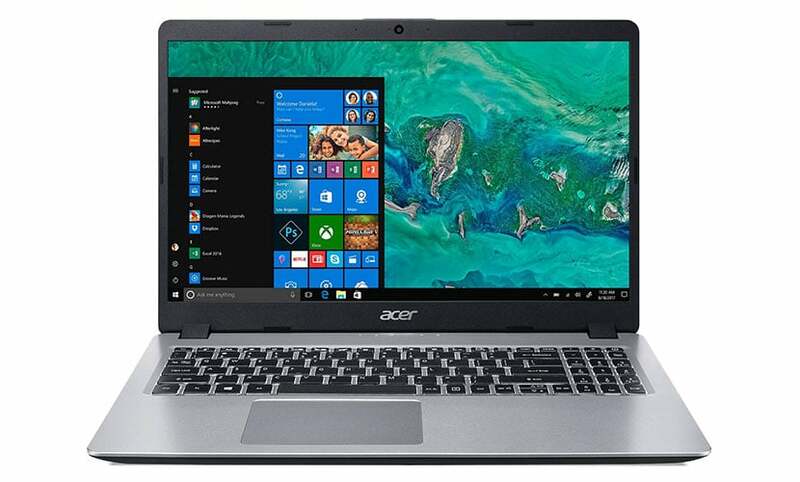 The price tag, by the by, makes this Acer device stand out in a crowded marketplace, for it is rare to find a dependable 15.6” laptop that so effectively blends performance with portability and affordability. If you have been scouting for a 15-inch laptop that doesn’t eat into your monthly budget but succeeds at fulfilling your standard endeavors at school or work, this Acer device might be just right for you.